Editing is a service usually provided to a new author if they are fortunate enough to be signed-up to a publisher. After all, it’s in the publishers interest to help craft and polish the writing so it is the best it can be. Self published authors don’t have this luxury. If you take your writing seriously, if you want your readers to take you seriously, you simply cannot afford to think of editing as an unnecessary luxury. Proof reading isn’t always idiot proof! Such a humble concept, but one that can still trip up the first time writer. You’ve spent a long time writing your opus. You’ve created a story that you’re ready to share with the world. What you don’t want to share is your carelessness and laziness. Bad spelling and grammar will turn your potential readers off very quickly and certainly ruin any credibility you may hope to have as a writer. 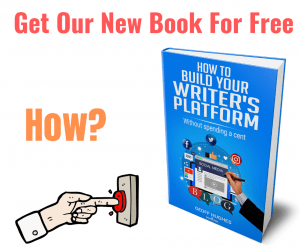 By the time you are ready to hit the big E publish button on your new eBook, you’ve already ticked off quite a few elements on your project timeline. Proofread? Check. Edited? Yep. Design? Yep. Great cover? Check. Price, yep. Going the self-publishing route can be richly satisfying. But navigating the maze of book formats and online sales monitoring tools also takes a lot of time. If you are not a technical wiz and are daunted by the format wars between the major bookstores, then an aggregator can offer a simpler path.